Need a PC problem fixed in a pinch? 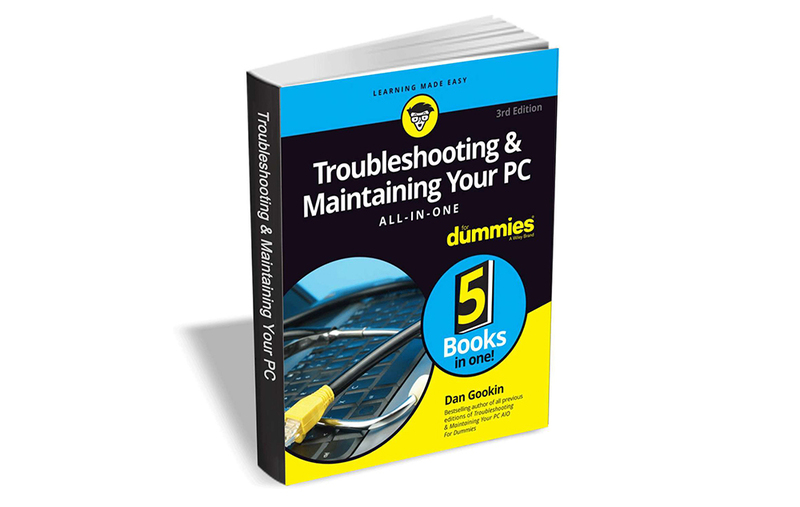 Troubleshooting & Maintaining Your PC All-in-One For Dummies offers 5 books in 1 and takes the pain out of wading through those incomprehensible manuals, or waiting for a high-priced geek to show up days or weeks after you need them. There's nothing worse than firing up your PC only to discover it's inexplicably unresponsive. With this guide, you'll gain all the skills and insight you need to need to bring it back to life -- and to prevent it from ever leaving you in the lurch again. Your PC problems aren't as big as you think. Take matters into your own hands with the helpful instruction provided inside this ebook. Troubleshooting & Maintaining Your PC All-in-One For Dummies from Wiley usually retails for $16, but BetaNews readers can get it entirely free for a limited time. All you have to do to get your copy for free is go here, enter the required details, and click the Download button. The offer expires on July 19, so act fast.